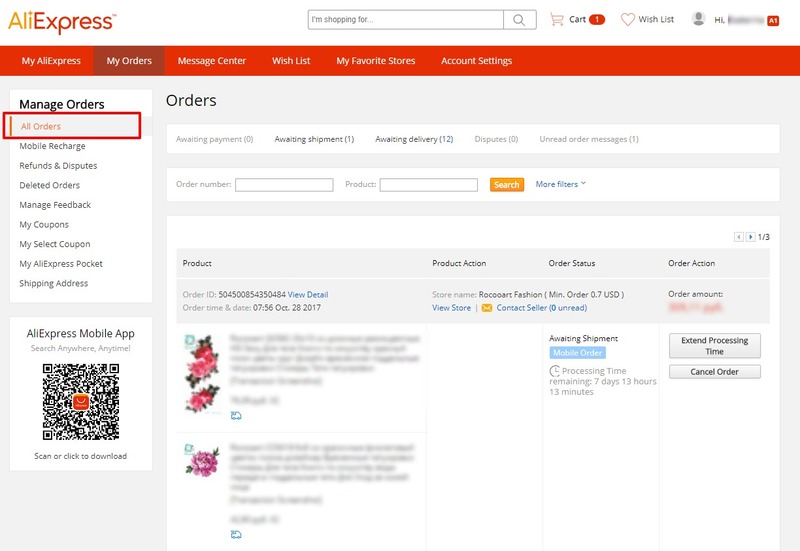 AliExpress has a strong buyer protection system with full money back guarantee. So, if your customer is not satisfied with a product or did not receive it and asking for a refund, we would recommend getting in touch with your seller to resolve the issue. If you have not managed to do this, you can dispute the purchase with your AliExpress seller. AliExpress suppliers tend to refund inexpensive products quickly without you having to return the items because they would prefer to avoid disputes and receive returns for relatively low-cost items. This enables you to issue a full or partial refund to your customer through PayPal without them having returns either. The reputation of wholesalers is rather exposed, that is why they are usually responsive as their feedback ratings are at stake. To open a dispute, go to your AliExpress account => All orders. Choose the product you are having difficulties with, click Open Dispute and follow the application steps. If you are not satisfied with the dispute outcome, it is possible to forward your request to AliExpress team so that they look into the dispute resolution.